Honey Baked Ham is a delicious addition to your holiday meal. Hams from places like HoneyBaked Hams are very expensive. Yes, they are very tasty, but you can make one for about one-third of the price if you catch your ham on sale. What is amazing about the HoneyBaked hams is that there isn’t even honey in the crunchy seasoned sugar crust. Guess what? 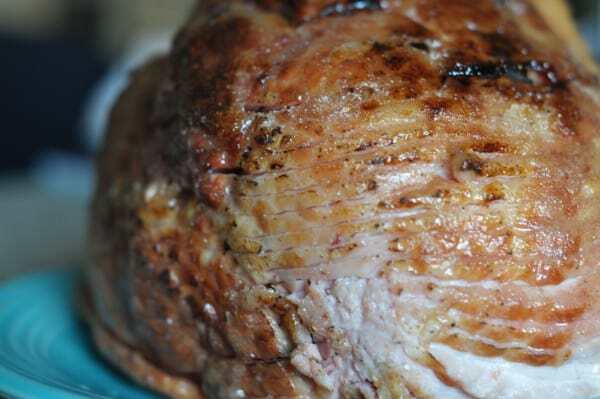 With a blowtorch, and some patience you can make this ham at home. Blowtorches are not toys, but you can cook with them. If you are going to do this outside, do not do it on a windy day. Do it where the air is still. You can buy a very inexpensive blowtorch at your local hardware store. I purchased mine for about $15. So what do you want to bet that I will be making crème brûlée sometime soon? You can make an amazing honey baked ham at home. In a small bowl, combine the sugar, onion powder, cinnamon, nutmeg, ginger, cloves, and paprika. Mix the seasoned sugar mixture well. Cover a baking sheet with aluminum foil; if you fail to do this, you may have burnt sugar on your pan, and it will take a while to clean off. Place the ham open meat side down onto the pan. Sprinkle with the seasoned sugar mixture. Press the sugar onto the outside of the ham. You may not use all of the seasoned sugar mixture. With a blowtorch, gently heat the seasoned sugar mixture on the ham. Wave the flame quickly over the sugar—you want the sugar to brown, not burn. Staying in one area, and moving out from there slowly will make this easier, as you will be heating the sugar in a continual direction. This whole process will take about 15 minutes, so be patient. You can sprinkle more sugar on top of the already browned parts of the ham and make the crust thicker. You can either reheat the ham or serve it cold when you are finished. Is propane torch the correct one to use? Looking forward to making this for Christmas but I did have a question. In the written recipe it calls for onion powder but in the video you say garlic powder. Which is correct? Thanks! I made an error in the video. Honestly either will work fine. 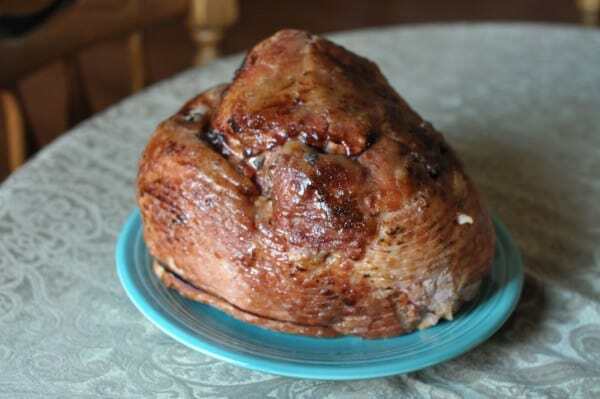 I made this ham on Easter and it was so delicious that I’m making it again today! Thanks for this recipe, tastes just like a Honeybaked ham at a fraction of the price. Plus I enjoy cooking! I have been making this recipe for years, and we all just love it! We always talk about it being “time to torch the ham”. This is flavorful without being overly sweet and sticky, as some glazes are. We get a ham with great flavor at a modest price. Just make sure your spices are fresh. Sometimes I add a bit of allspice, too. I used to buy 1/2 Honey Baked ham, but last year I discovered this recipe and made it ant it was a total success! This year I got my spiral ham at $0.89 a pound, so I will be making it again for sure, and saving a tone of money! Do I heat the ham to 150 before applying the glaze? How long and at what temp do you recommend heating a 10b spiral cut ham? The ham is cured. You can serve it warm or cold. That is up to you. I’m wondering how this would be with half brown sugar, and half granulated sugar? Without seasoning? It would most likely be pretty good. Thank you so much for sharing this. I did half brown, and half white sugar, and included the seasoning, and it was even better than the actual honey baked ham that I paid almost $80 for last thanksgiving. I am all for saving some cash! Great video demo…got my blow torch at Home Depot today. ThankU. Will buy both your books as soon as company leaves & I have a quiet moment. Thank you very much. I hope you enjoy the ham. Best to serve at room temp. Don’t mix the spices with the sugar, glaze with sugar first then sprinkle on the spices.